Hamilton, a town in southern Madison County, New York, has a population of about 6,000, and is named after the patriot and author of the Federalist Papers, Alexander Hamilton. The Village of Hamilton, located within the Town, is home to Colgate University. Michaels & Smolak has represented many personal injury and medical malpractice clients from Hamilton and the surrounding areas of Madison County, including a client who sustained a concussion and injuries to his neck, back and upper and lower limbs when a car ran a stop sign and struck the side of his vehicle. The closest Michaels & Smolak office to Hamilton is in Syracuse, and directions can be found HERE. But the personal injury and medical malpractice lawyers of Michaels & Smolak travel to the homes of their clients, including in Madison County, to meet with their clients. 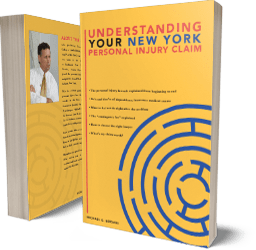 All the lawyers of Michaels & Smolak are top-rated New York personal injury and medical malpractice lawyers. Visit our homepage to read more about us.